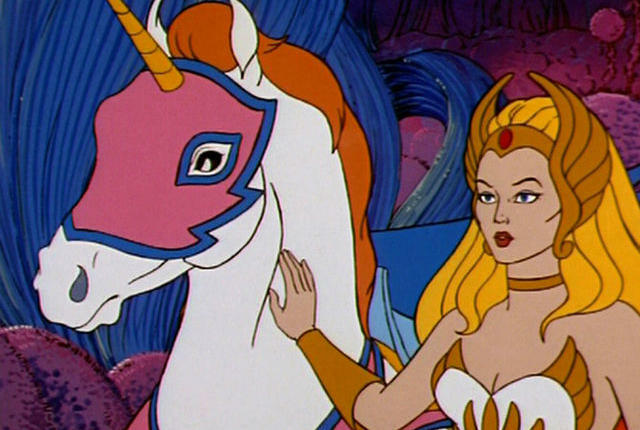 She-Ra is the heroine alter ego of Princess Adora and the twin sister of He-Man (Prince Adam). Channeling the combined Power of the Universe and the Wisdom of the Elders of Eternia, Adora transforms into She-Ra, the Most Power Woman in the Universe. Her strength comes not from btute force but from sheer will and her cunning magical powers and healing abilities. She also has the power to communicate telepathically with animals. As both She-Ra and Adora, she helped lead the Great Rebellion of Etheria against the Horde invaders. Later, when Hordak found an escape to Eternia, she followed him along with several of her friends and allies. 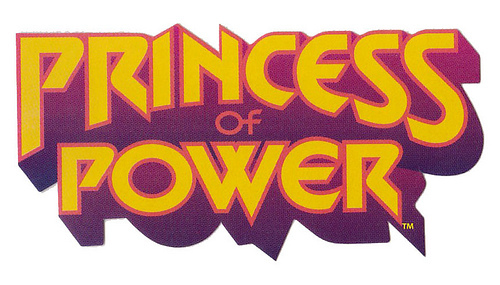 Once there, the Princess of Power joined forces with the now renegade Masters of the Universe, who without King Randor had become outcasts in their own land, fighting against Hordak’s new tyranny! She-Ra is a strong-willed, forceful individual who believes firmly in doing the right thing and encouraging other to do so. She-Ra displays a number of above average physical abilities and numerous supernatural abilities. She has super-human strength, enhanced speed, reflexes, and near-invulnerability. She has communicated with animals via telepathy, such as Swift Wind, and a bear in the Whispering Woods. In the episode “The Unicorn King," she demonstrated the ability to heal injuries by touching the damaged wings of a unicorn. In The Secret of the Sword, she also healed Swift Wind when he was injured by a Horde shot. She has the ability to transform her chief weapon, "The Sword of Protection," into other weapons, including a shield, boomerang, bola, lasso, and a giant handcuff. It can also be transformed into tools, including a ladder and a space helmet. 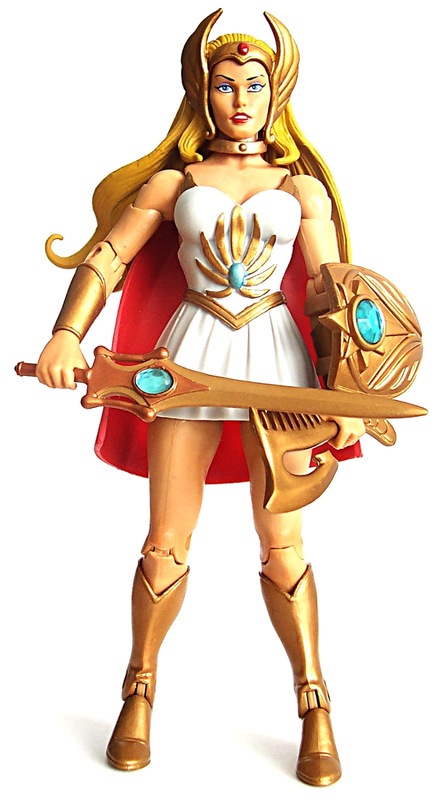 While She-Ra displays various abilities, her sword is her primary means of attack and defense. Uh! I remember wearing a dress like this for the Halloweens last year. My sister got me that dress and I am reading about her for the first time now. My kids are going to like this show for sure. Once they complete watching shows by Andy Yeatman, I can make them watch this.